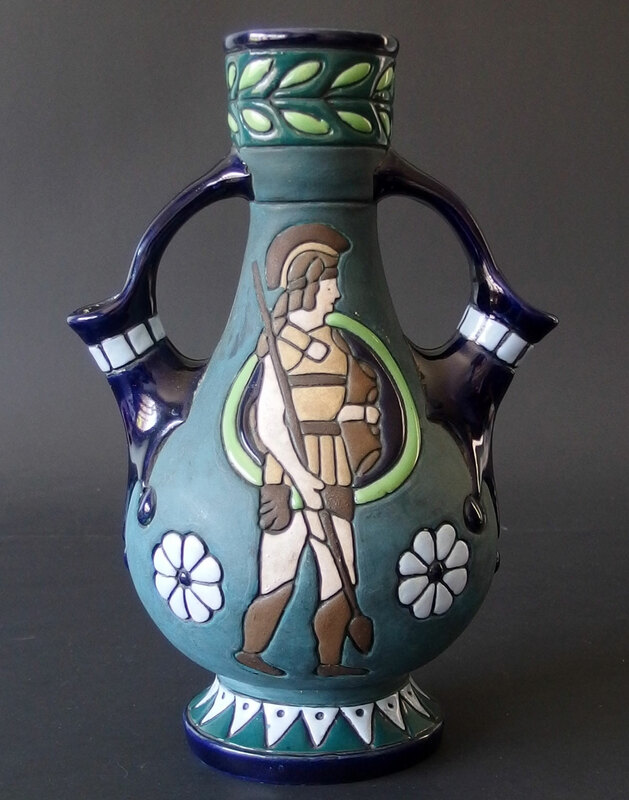 Amphora was originally named for Classical Greek storage vessels . 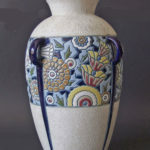 In the late 1800s to early 1900s Art Pottery creations from Eastern Europe exploded during the Art Nouveau era. 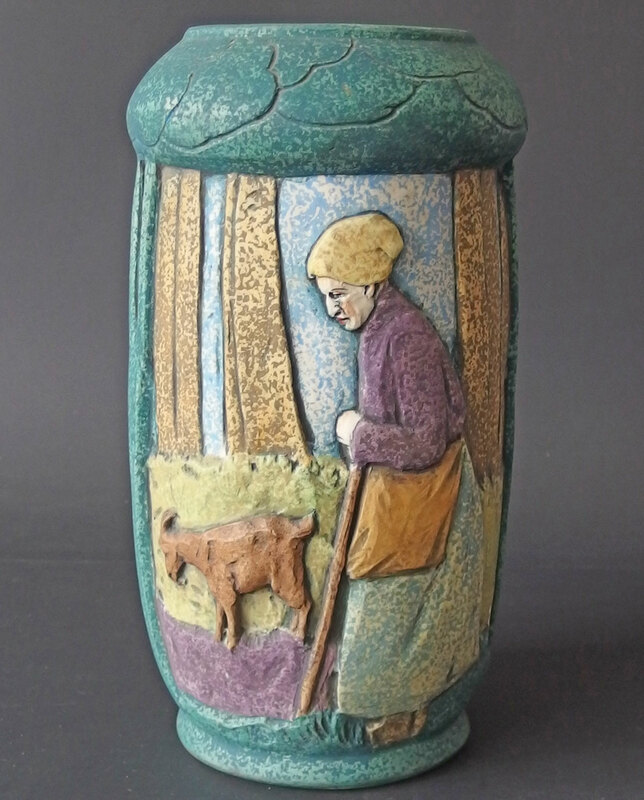 Many beautifully embellished pieces stamped Amphora and signed by artists in Austria & Czechoslovakia hit the market. These pieces have stood the test of time and can still be acquired. 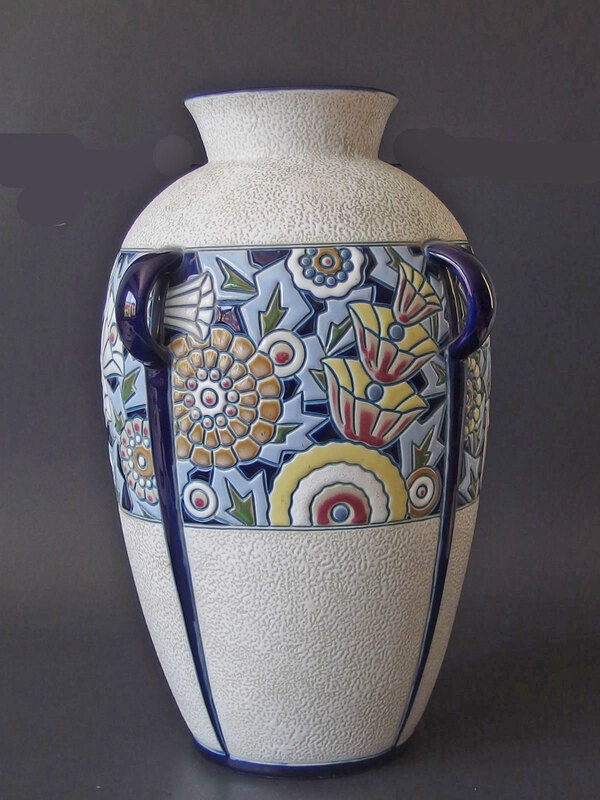 In America, there was a large importation of Amphora during the early 19th Century. 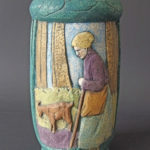 Collectors still are seeking the hand crafted vessels that are heavily embellished with designs, figures and landscapes. 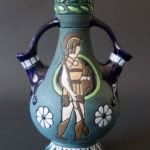 We will be featuring a variety of Amphora in our upcoming auctions. Take a look.